The South Korean Government and state weather bureau PAGASA have agreed to establish early warning systems in Bohol rivers that will help the province be better prepared for floods. 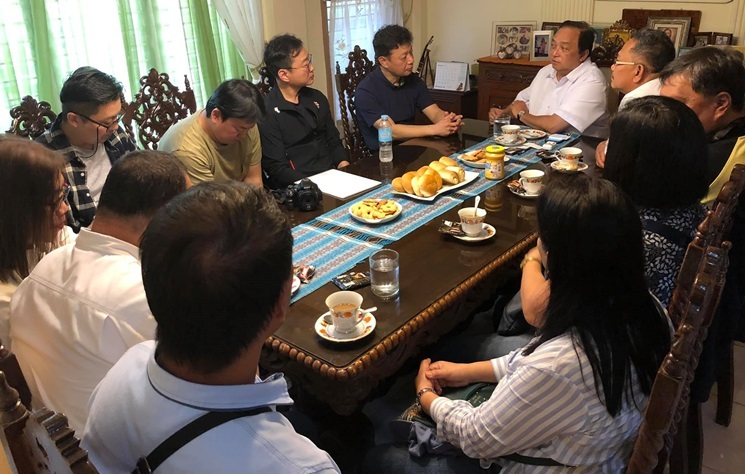 PAGASA administrator Vicente Malano, a team from the Korea Institute of Civil Engineering and Building Technology (KICT) and Governor Edgar Chatto discussed the initiative’s implementation at the Governor’s Mansion in Tagbilaran City on Monday. According to Malano, the systems will cover major rivers in the province including those in Cortes, Inabanga, Loboc, Garcia Hernandez, Duero, Jagna and Guindulman. The Loboc River, Inabanga River and Abatan River in Cortes have so far been scheduled for inspection by a team from the Department of Land, Water and Environment Research of the KICT led by its senior research fellow Yoon Kwang Seok. Malano said that the South Korean government has offered to administer the project’s feasibility study. In the same meeting, the group discussed the establishment of a PAGASA office at the Bohol Panglao International Airport in Panglao. Malano also expressed optimism that a Doppler radar will already be installed at the newly completed Alburquerque Doppler Radar Station in Alburquerque town by May or June.